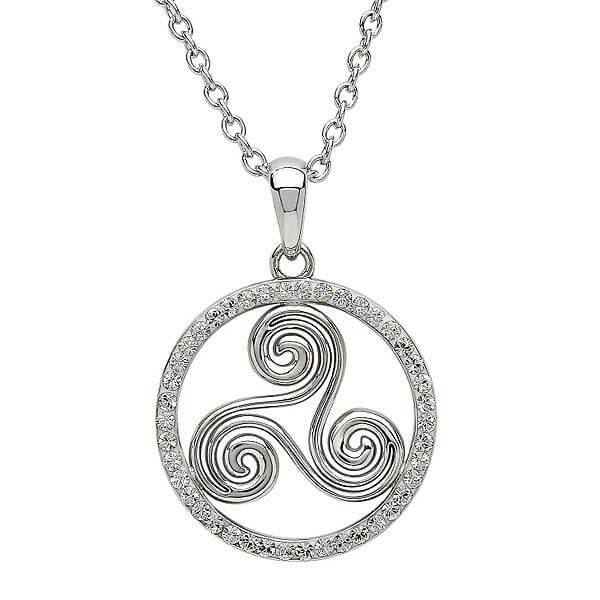 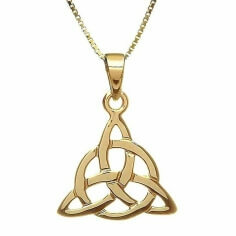 The Newgrange spirals are over 5,000 years old, we have used the same design for our Sterling silver Newgrange necklace. 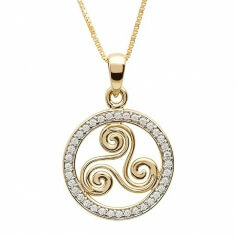 A Swarovski® crystal encrusted border surrounds the Newgrange spirals. Handcrafted in Ireland by skilled artisans before being tested and hallmarked by the Dublin Assay Office.